Easter vector illustration of two young angels holding an Easter egg. Beautiful vintage Easter sketch rendered as Illustrator AI and PDF file for easy editing of size and colors. 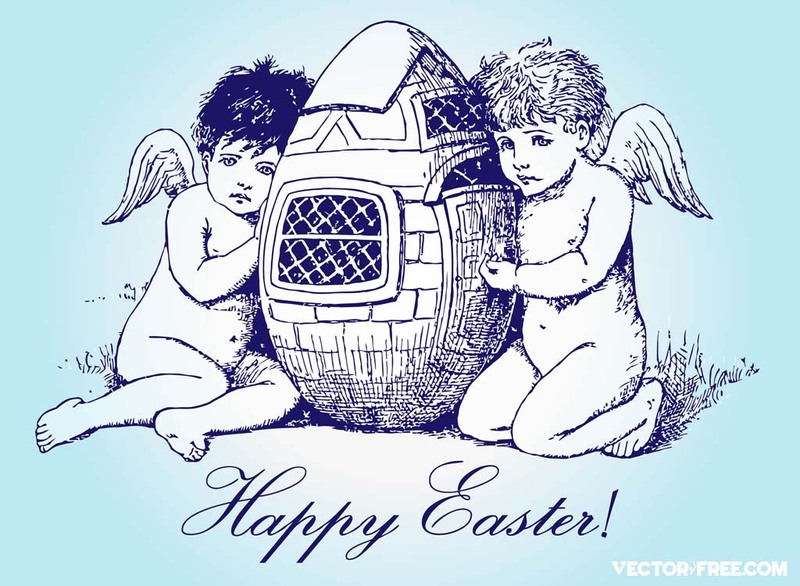 Download antique etch showing cute angels and giant egg, great footage for your Easter postcards, promotion or brochure. Tags: Angel, Easter, Easter Egg, Egg, Holidays, Holy, Saint, Wings.